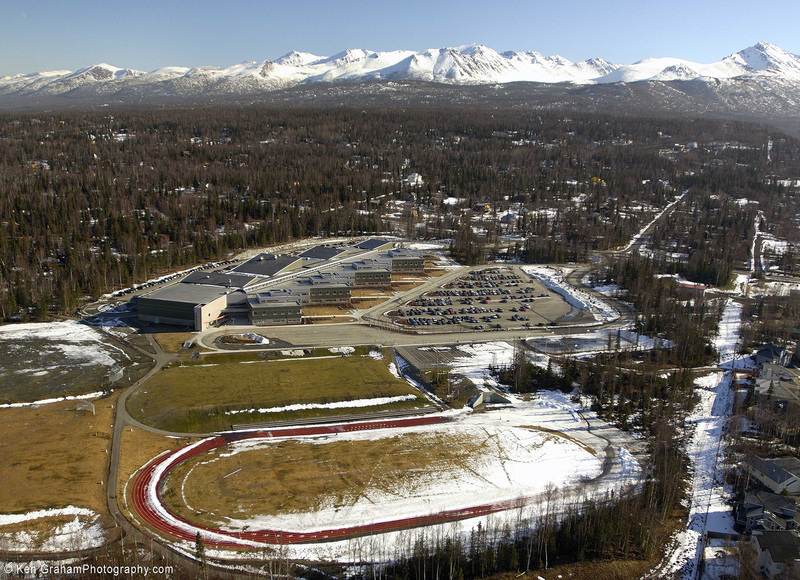 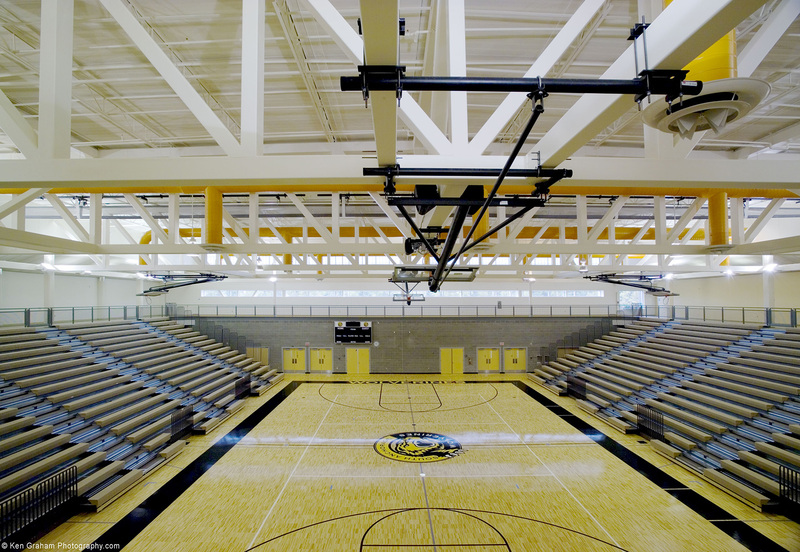 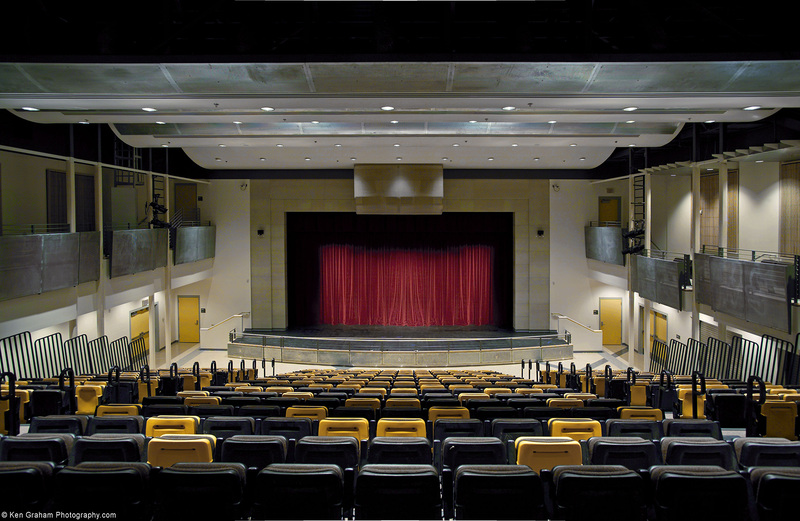 South Anchorage High School is a 240,000 sq. 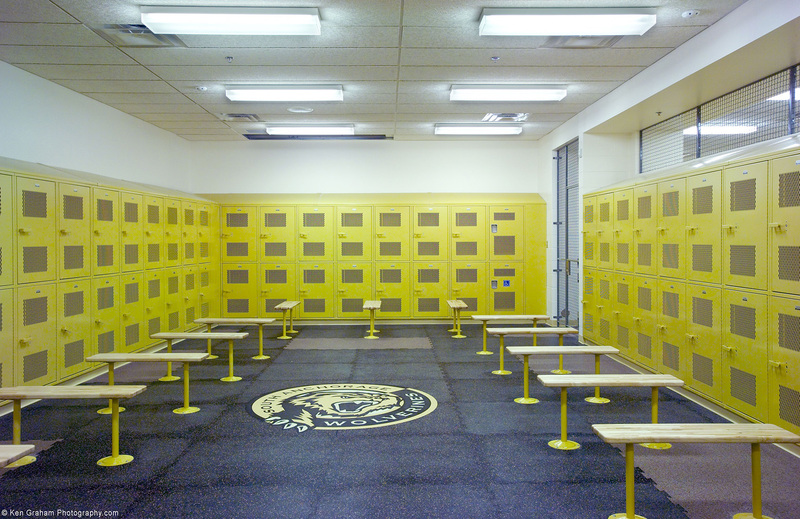 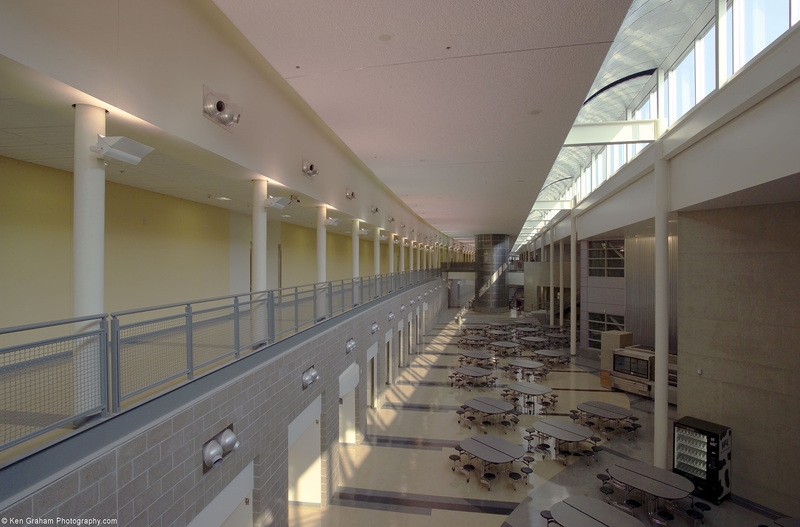 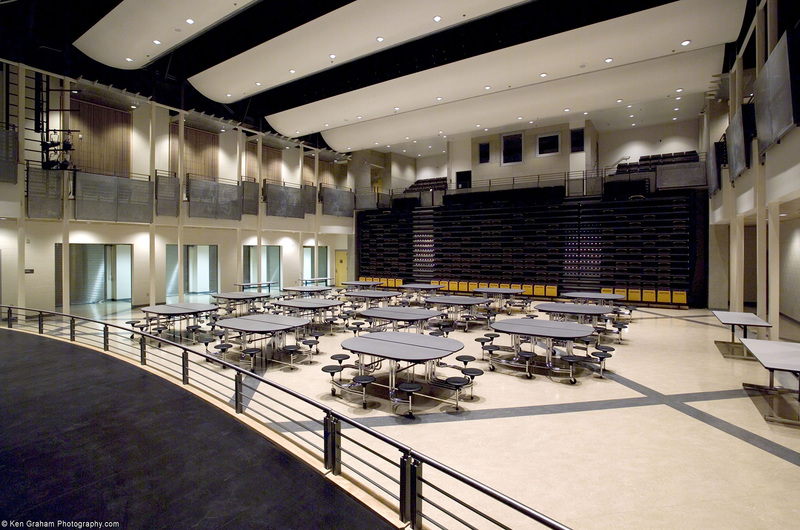 ft. facility designed to serve approximately 1,600 students. 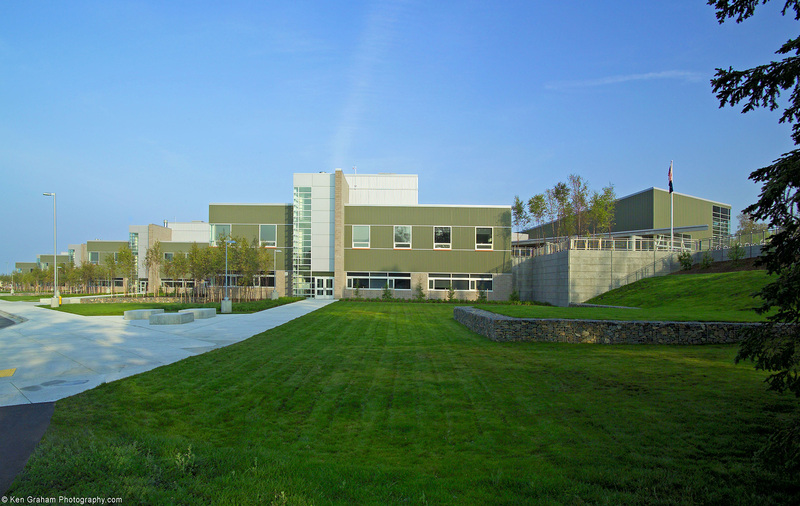 It is located on 50 acres of naturally wooded slope and was constructed of concrete foundation and structural steel. 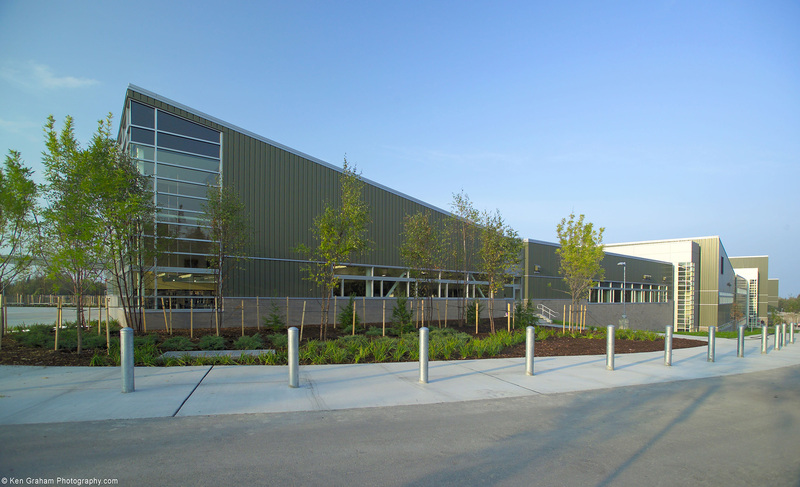 The exterior facade is finished with a curtain wall, metal panel/siding, and a CMU veneer. 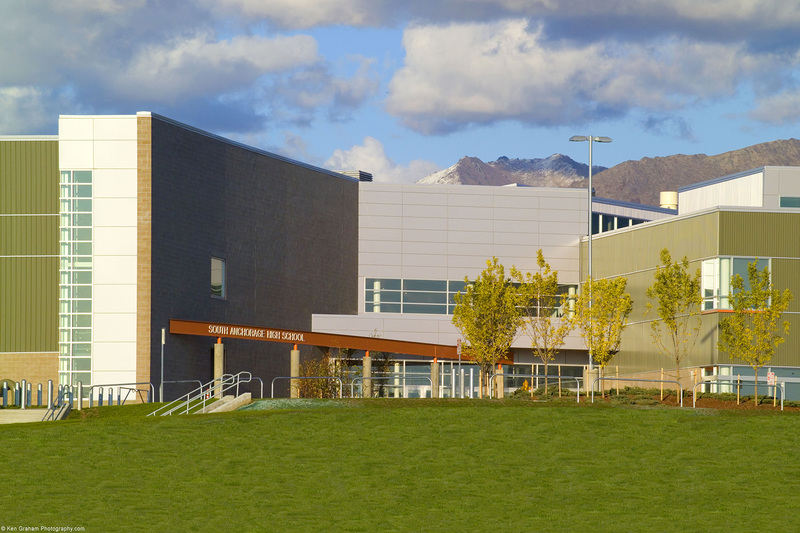 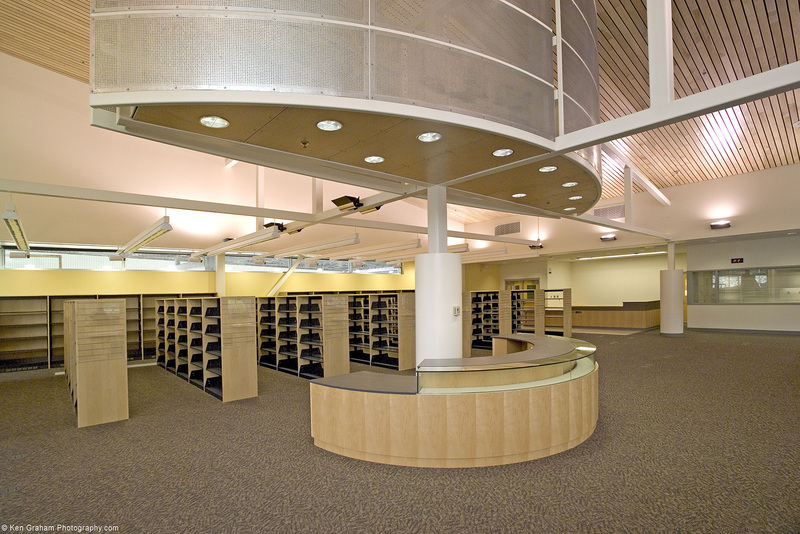 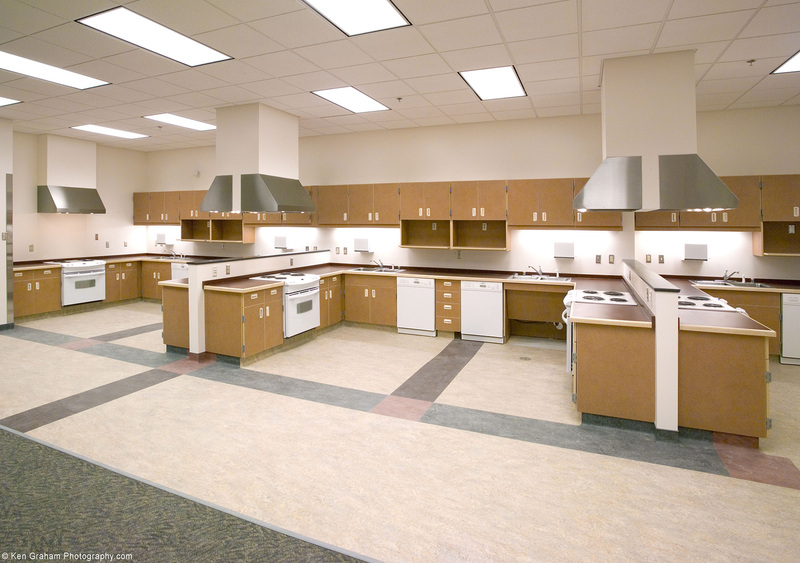 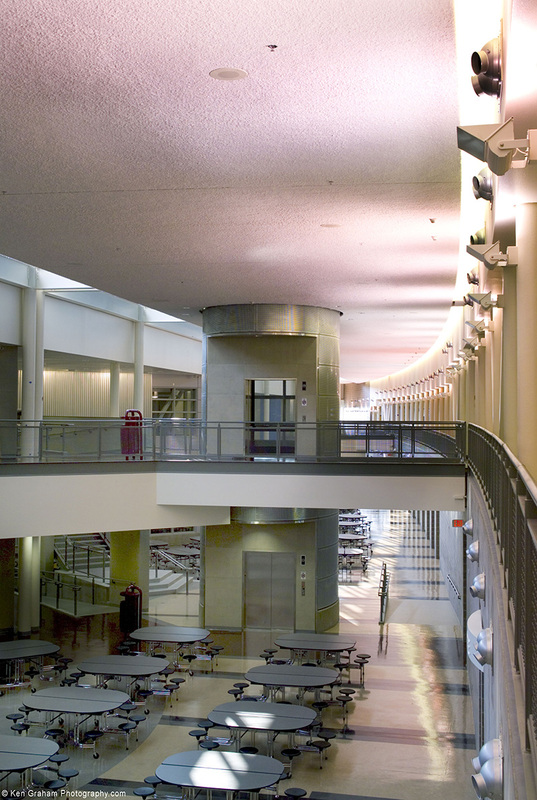 The design of the school follows the standards of the High School Educational Specifications (Ed Specs) adopted by the Anchorage School District in 1998. 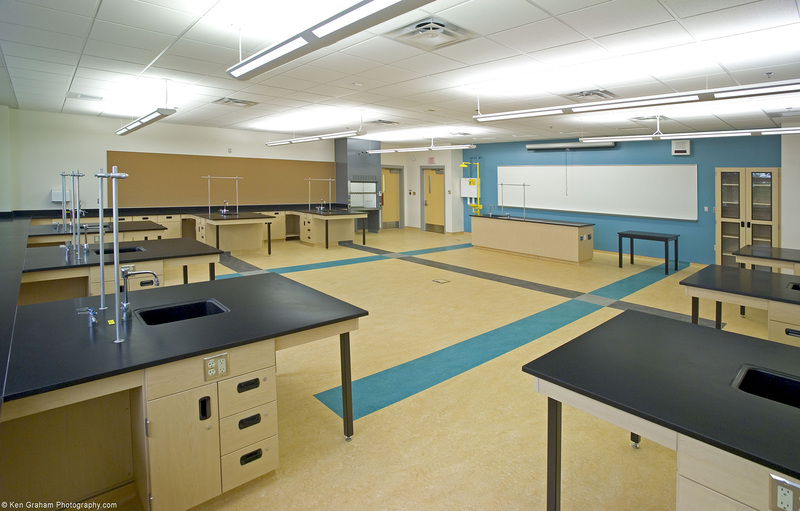 These Ed Specs aim to create forward-looking facilities for students in the 21st century. 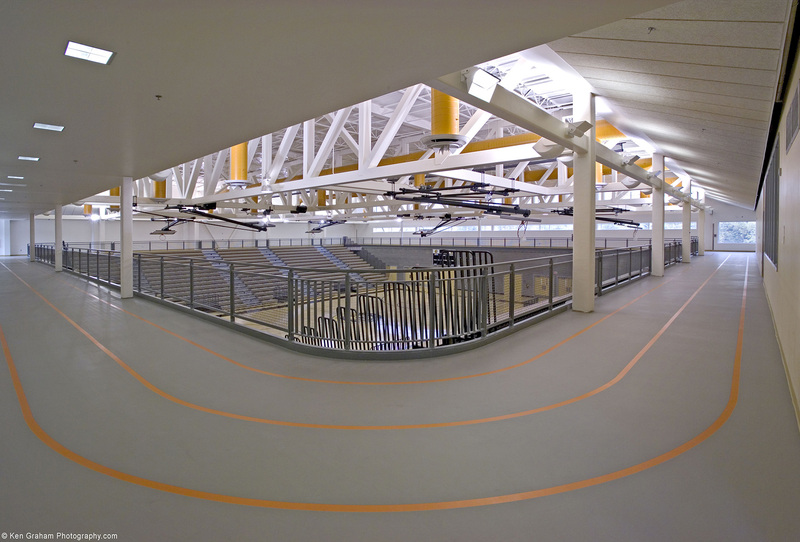 The landscaping includes native plants and shrubs, a baseball field, softball field, football field, and a running track covered with synthetic surfacing. 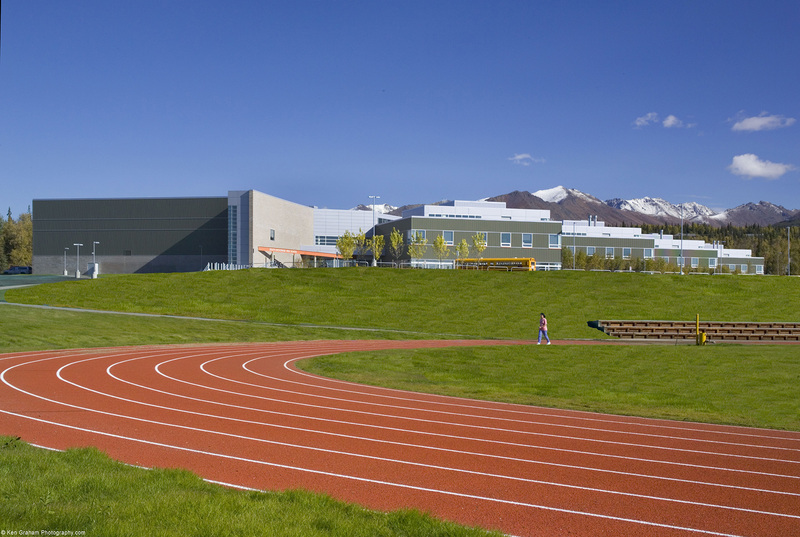 This is the first school in Anchorage that has a snow melt system on the walkway/plaza area.